While larger dogs are generally better able to tolerate different foods than smaller breeds, there are a couple of key reasons why feeding table food to dogs isn’t the best thing to do. Not only will this inevitably result in dogs eating substances that aren’t great for their health, but it also trains them to beg for food. Although this isn’t a practice we encourage, we also understand that dogs are a big part of families, which means there may be times when you want to include your pooch in a meal. This is especially true during special occasions like Thanksgiving. However, it’s important to mention that pancreatitis cases in dogs spike during the holiday season. The increase in this condition, which can unfortunately be fatal, is the result of dogs being fed a surplus of fatty foods. Since apple pie is filled with sugar, you should avoid it and instead opt for regular apples. Just be sure to provide slices that don’t include the core, as ingesting too many apple seeds can make a dog sick. With apples and the next two items on our list, it’s best to choose fresh and certified organic whenever possible. As with apple pie, candied yams have a lot of sugar. That’s why you should skip those and go with regular sweet potatoes. Vitamin C, fiber, Vitamin B6 and beta carotene are all healthy elements found in sweet potatoes. A very important thing to remember is you need to cook sweet potatoes before giving them to your dog! 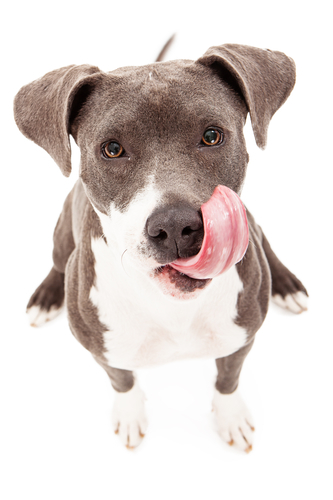 Doing so will ensure your dog can easily digest this food and has the added benefit of bringing out the sweet flavor. Even though pumpkin pie may be a favorite around the Thanksgiving table, it continues the trend of goodies with a bit too much sugar for dogs. However, dogs can safely eat pumpkin and most definitely enjoy doing so. Keep in mind that pumpkin tends to have a direct positive impact on a dog’s digestive system, so you’ll want to limit the amount you give to your dog in a single sitting. Given the cream and other elements that tend to go in green bean casserole, it often ends up being too rich for a dog to digest without problems. But if you want to give your dog a Thanksgiving treat that has plenty of Vitamin K, plant fiber, Vitamin C and manganese, plain green beans are the perfect option. It’s worth noting that fresh, canned and frozen green beans are all fine for dogs to eat in moderation. Just be sure that if you go with canned, you choose a brand that doesn’t have added salt. If everyone is enjoying dessert and you want to give your dog something sweet that’s not too heavy on sugar, yogurt is a great option. As long as you pick a brand that’s made without artificial sweeteners, your dog will enjoy this treat and get a dose of calcium & protein in the process. While any of the items we covered above are fine for your dog to snack on during Thanksgiving, if you want to provide a snack that’s going to make your dog super happy, Pet Wants beef jerky is the perfect option. Available as treats in 1/8 or 1/4 pound sizes, our house-made jerky is made with human grade top round steak and marinated overnight to create a tasty flavor your pooch will absolutely love!